Many draw upon the support of and commitment to family as motivation to succeed. James “Jay” Campbell is no different. Family has motivated him for nearly 30 years in the industry—beginning early in his career when he joined his dad and brother to build the family business, and later working with his own children as owner and CEO of Campbell Engineering in Lake Forest, Calif.
Jay had no idea that when he and his brother Larry were paid pennies per unit to help their dad deburr injection-molded parts each evening during their high school years, the experience would shape the future. It first led to a position at the family company, where Jay worked for over 10 years alongside Larry and their dad. Then Jay left to start his own company. After 19 years of running Campbell Engineering, Jay still considers himself more machinist than CEO, and continues to value ties to the family business. He consults Larry for advice and is thrilled that his own daughters and son-in-law now work with him at Campbell Engineering. 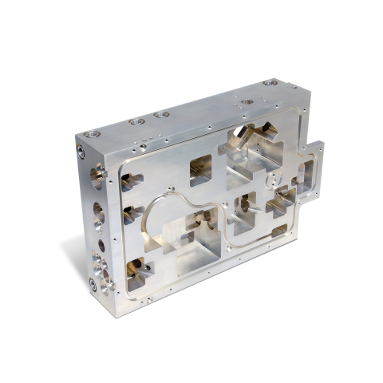 Over the years, the company has found its niche milling highly complex, low-volume components—primarily aluminum parts for medical laser instruments. It has developed a reputation for having high standards of quality and customer service while delivering parts on time. Recently, Campbell Engineering has been evolving from a job shop into more of a contract manufacturer, as current clients ramp up part quantities. 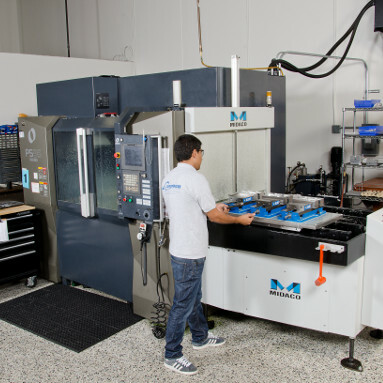 It has been able to expand its capacity as it shifts its business model, thanks to its investments in two high-performance CNC machine, the Makino PS95 vertical machining center and a51 horizontal machining center. 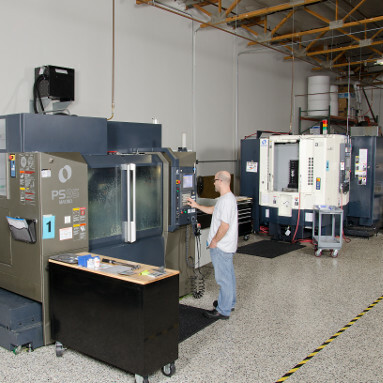 Prior to acquiring its new machines, Campbell Engineering had used conventional vertical machining centers (VMCs) for its operation. While that equipment had fulfilled Jay’s dream of starting his own shop and had served the company well for many years, he knew that adding high-performance CNC machine technology would help the company better accommodate its growth. The company had already grown from a one-man shop to a two-shift operation, and had expanded from an 800-square-foot to 11,500-square-foot building. Recognizing similar growing pains as those his father’s business had once experienced, Jay spoke to Larry about the Makino machining solutions they had put in place during their growth spurt. In addition to consulting his SST sales representative, Jay attended trade shows to see various machines in use and researched horizontal machining centers (HMCs) online to learn more. Despite all the research into HMCs, Campbell Engineering first purchased a PS95 vertical machining center (VMC) in December 2013. 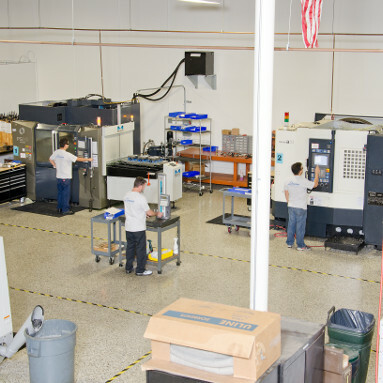 A few months later, Jay invested in a Makino a51 horizontal machining center. “The HMC would help us combine operations and improve quality, since the products we are making require five to eight operations and a true position of 0.001 inch,” he said. 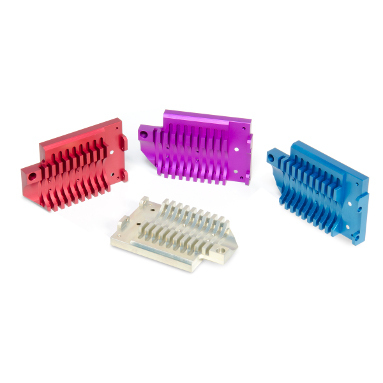 SST served as a single source not only for both machine installations but also all related fixturing and consumable needs, even suggesting that Campbell add a Techni-Grip™ work-holding system to the a51. Following installation, four days of training took place on site at Campbell. Even though the machine had more features than the company was used to with its previous machines, there were no issues with training. Only eight months into operating its new high-performance CNC machines, Campbell Engineering is already seeing big improvements as it expands its capacity. 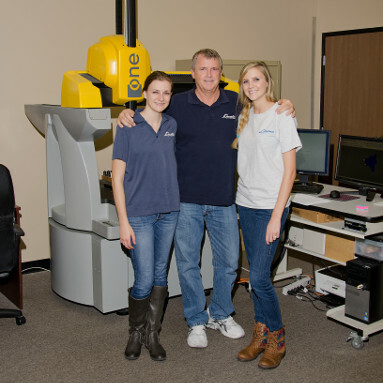 “The PS95 is pretty impressive compared to our previous machines,” said Butner. “We like the speed of the tool changes and the machine rigidity. We feel like it has the performance equivalent of two to three other machines in the shop. We used to run our commodity machine at 800 rpm while feeding it at eight inches per minute [ipm]. We run the spindle on the PS95 at 3,200 rpm and feed it at 30 to 35 ipm. What a difference! Campbell Engineering also uses the PS95 to perform high-performance roughing operations and establish datum points on the first operation. Similar to the PS95, the a51 has seen positive results. When Campbell Engineering encounters applications requiring three or more operations, the a51 is its go-to solution to machine the part complete. The high-performance CNC machines enable the company to take existing jobs and complete them using more efficient solutions. And even being more aggressive in the cut, Campbell’s throughput and profitability are improved. As the company continues to expand with more high-mix, low-volume work, it has already purchased additional high-performance CNC machines, including a Makino a51nx horizontal machining center and U6 wire EDM to give the company even more control over quality and scheduling. “Our company likes to stay one step ahead,” said Jay. “We know that the companies that are growing are the ones that have the nerve to invest in technology to obtain power, speed and accuracy. As bidding for work remains competitive, we need this kind of advantage to stay ahead. As it expands, Campbell Engineering is currently working toward Stage 2 ISO certification after Larry challenged Jay to complete it. Campbell’s recent investments Makino PS95 and a51 machining centers have helped the company expand capacity in order to meet growing customer demand. The PS95 with pallet changer has become Campbell’s workhorse for all larger applications with limited operations that require high metal removal rates. 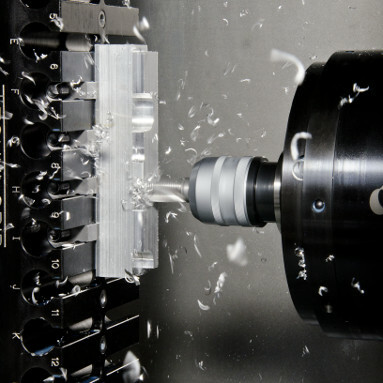 The rigid design and high-power spindle characteristics of the PS95 have enabled Campbell to increase speeds and feedrates by 50 to 70 percent in most applications. 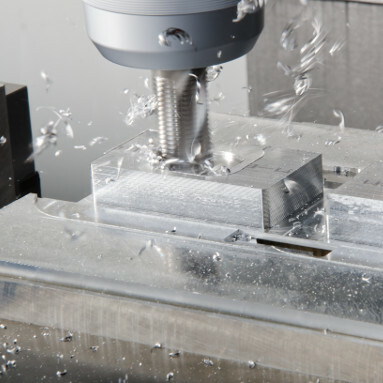 With improved part accessibility provided by the a51 B-axis table, Campbell has consolidated operations into fewer setups, leading to cycle time reductions of 50 percent or greater. In serving the medical industry, Campbell is familiar with tight accuracy requirements where tolerances of plus or minus 0.0005 inch are not uncommon. 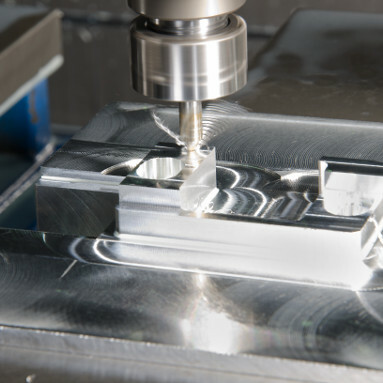 Campbell’s investments in Makino equipment have opened up capacity to run additional volumes of parts, providing for efficient transitions from prototype to production. At Campbell Engineering, what matters most is family and driving a successful business that provides a high quality of life.